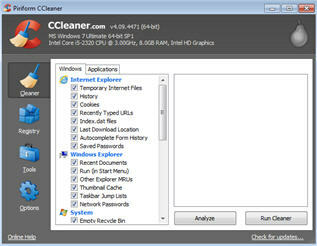 CCleaner alows you to remove cookies, temporary files and unused data, junk files, temporary file cache, URL history, hidden index.dat files. Remove unused and old registry entries. Makes your computer faster.